APOLOGIES: Due to unforeseen circumstances we have had to cancel this week’s Drop-in Mediation session. We will meet again as normal next Wednesday 27 March. Why not join us at Barnabas Arts House to take time out for self-nurturing and self-growth? Meditation practice isn’t about trying to throw ourselves away and become something better, it’s about befriending who we are. 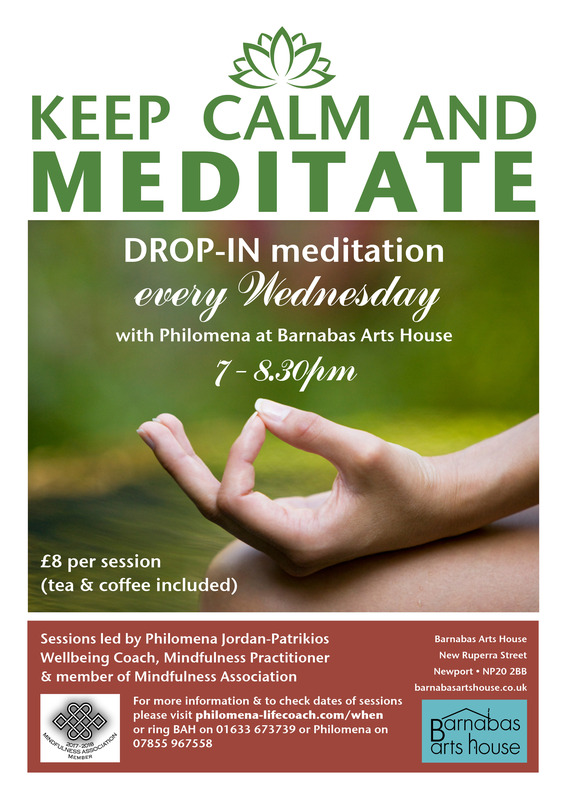 Wednesday drop-in meditation sessions are suitable for beginners and practitioners alike. Because it is a drop-in session, you can choose when to come along and give yourself what you may later consider to be the best gift of your life. For further information ring Philomena on 07855 967558.